Been diving in The Bells? Please Vote! Diving at The Bells already starts before you enter the water. 5 minutes of walking through the desert and memorial stones on your right and left-hand side while walking through a small canyon, always give me a very special feeling when entering the water. The Bells are an underwater structure of the coral reef. A vertical half-open tube starting at 2m depth going down to 30m. The wall itself goes down to nearly 1000m. You enter The Bells through a small pond, one after the other. Then you decide by yourself if you go headfirst (which I always do) of legs first (which might be easier when you have problems equalizing pressure). Once you are in the water you may hear the sound your tank, or those of others are making when they hit the stones and latest by then you know why it´s called the bells. When you exit the tube, you get an unforgettable view out into the blue. Watch out for big marine life (sharks, rays…)! Afterwards, you turn right and follow the corals towards the Blue Hole. The author: Markus Denggis is a CMAS Assistant Instructor. 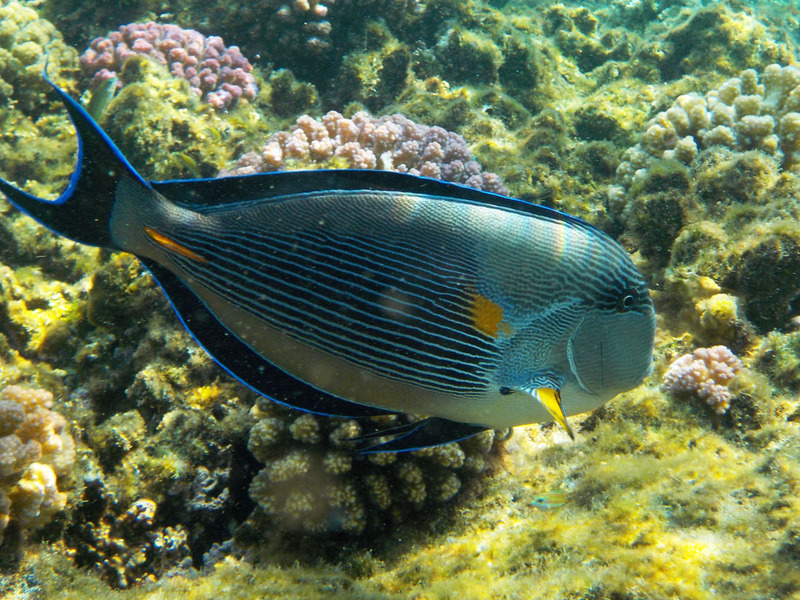 A popular dive spot in Dahab, perfect for all levels, from OW to technical. Vertical wall with cracks, overhangs and swimthroughs and cavelets. Great dive on the way to the Blue Hole. Map of Dahab, The Bells dive site.